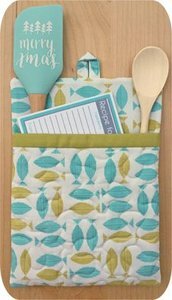 Stitch a great gift set with our pot holders, pot/skillet handle cover and hot pad with pocket designs. 3 sizes of quilted pot holders are included. You have the option of quilting the back side of them & adding a hanging loop. Each one is fully lined with no exposed seams inside. They're made completely in the hoop in just one hooping. The accent fabric strip at the opening adds to the overall design. You will need an embroidery machine to use this product. This is not a sewing pattern or finished item. 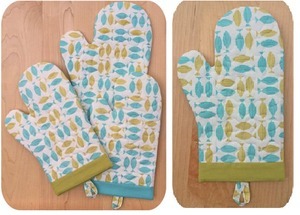 There's a quilted pot/skillet handle cover lined with silver heat resistant fabric in this set too. 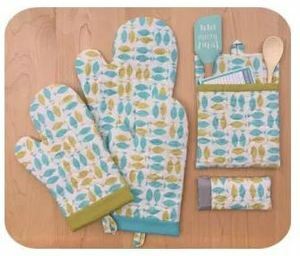 The hot pad with quilted pocket is perfect to sit under a hot dish and to add a few cooking utensils and card with your favorite recipe when gifting these designs as a set. 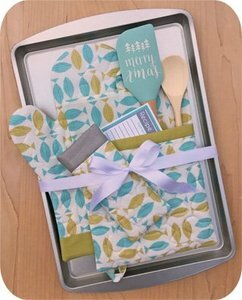 Add a baking sheet, one of the pot holders, the hot mitt and pot handle cover together and tie with a petty bow for the perfect hostess or shower gift. 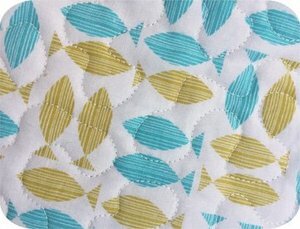 All of the designs have classic stipple quilting.